Home › Latest News › What Would Dad Like? Father's Day is less than two weeks away. This is a time when we get to celebrate and recognize some of the guys who took us on our first runs and inspired us to be active. One of the things dads love most, besides backing into parking spaces, are pockets. And these shorts have plenty of them! Great for stowing keys, phones, and gels, but more importantly, providing a sense that if they HAD to carry something else, they could. These come in 5" and 7" lengths, and some styles include a built-in compression short to provide support and reduce chafing. This all-purpose GPS smartwatch is perfect for any dad who splits his recreation time between running, cycling, swimming, and golfing. 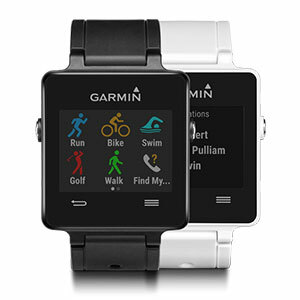 It features built-in sports apps that track your stats on the road, in the pool, and on the golf course. (You can download course maps for more than 38,000 courses worldwide to gauge layup and dogleg distances, as well as distances to the front, middle, and back of the green.) This all comes in an ultra-thin, stylish package with a sunlight-readable, high-resolution color touchscreen. Heart rate monitor is optional. This is what I get my dad every year for Father's Day, his birthday, and any other gift-giving occasion. He loves them—and he's not the only one. The Hidden Comfort features soft padding under the foot, paired with a light, breathable mesh on top. 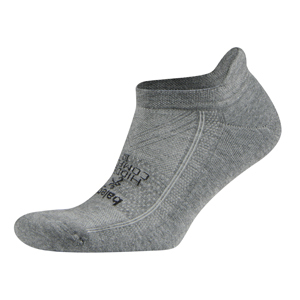 Like all the other socks we sell, it wicks moisure, keeping your feet relatively cool and dry and cutting down on friction and blisters regardless of how much you sweat. We absolutely love this shirt! So soft and comfortable. A poly/cotton blend, it's a great option for dads who are suspicious of synthetic fibers. And it's got a pocket on the back! If you were nice, you'd get dad a massage for Father's Day. But some dads are more DIY than that. If this sounds like your dad, how about a foam roller so that he at least has a good way to work out that muscle tightness and stay loose and limber? Need some tips on how to use them most effectively? Just ask us! Can't decide? We also sell gift cards in the denomination of your choice!